By LUDWIG VON KOOPA - He served his countries well. Both of them. When we think of great fallen soldiers, KoopaTV's staff thinks of our own Koopa Troopas first. They were the subject of last year's Memorial Day article, so we wanted to talk about someone else to keep things fresh. So, our second great fallen soldier that we thought of was the Black Knight. You may have seen him in Fire Emblem: Path of Radiance and Fire Emblem: Radiant Dawn, the two best Fire Emblem games. He's enigmatic, clad in ebony armour, and he's highly effective. He's also dead, which makes him a fitting subject for a Memorial Day article. If you couldn't already tell, this article will have spoilers for Fire Emblem: Path of Radiance and Fire Emblem: Radiant Dawn. Heck, I've already alluded to some spoilers and I've just started! I know those games are nine to eleven years old, but I guess there are a lot of people who haven't played them that want to, based on their Amazon prices. Fire Emblem Fates: Conquest, Fire Emblem Fates: Birthright, AND Fire Emblem Fates: Revelations. 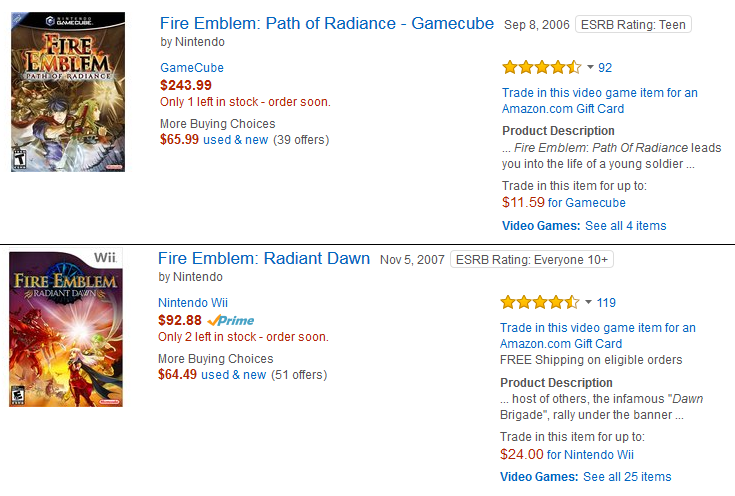 All three put together are still inferior to Fire Emblem: Path of Radiance. We at KoopaTV are highly aware of supply and demand, so don't keep reading if you don't want to be spoiled. That said, you'll be missing out on a great and eye-opening tribute! In Fire Emblem: Path of Radiance, the Black Knight is an absolutely amazing soldier. He's more competent than even Mad King Ashnard. He's the most dangerous of Daein's Four Riders, and is able to teleport with his warp powder to do things like kidnapping the Serenes princess, Leanne, while evading the watchful eye of her hawk king protector, Tibarn. That's a skill that probably makes King Bowser Koopa jealous! The Black Knight is deemed “the prodigal son” by Daein's ruler, King Ashnard. The Black Knight is described as monstrously powerful, able to crush an entire unit of Phoenician hawks by himself. 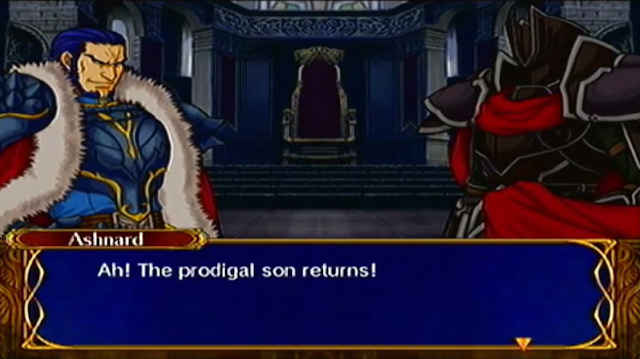 Yet, he is canonically defeated by Ike afterwards. Ike, of course, is also a guy who can defeat armies by himself. You have two unstoppable forces going against one another. 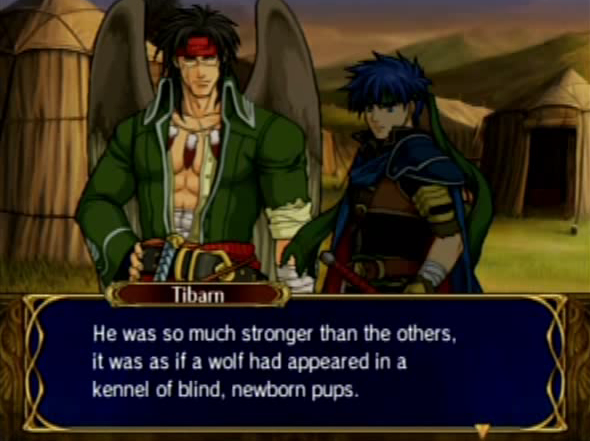 Tibarn describing the Black Knight compared to other Daein soldiers as an example of quality surpassing quantity. Ike had been the only one Greil had taught his unique style to, besides the Black Knight. 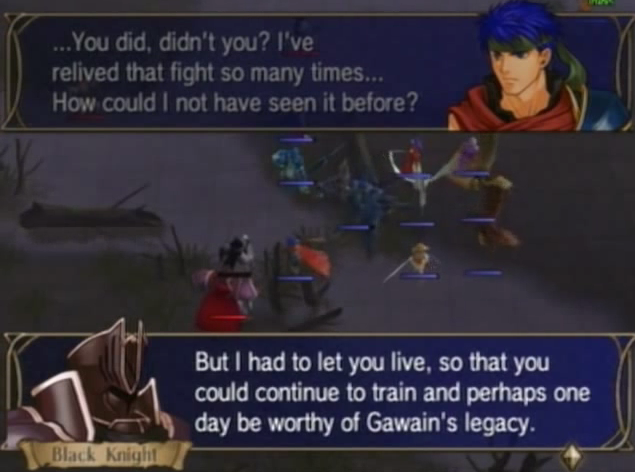 The Black Knight recognised that Ike wasn't at his full potential during the events of Fire Emblem: Path of Radiance, so he had to wait three years for him to get really buff for Fire Emblem: Radiant Dawn. That's when Ike would be at his full strength. That one day would only be after years of Ike hitting the gym. As a result of pretending to be dead after Fire Emblem: Path of Radiance the Black Knight could not attend Super Smash Bros. Brawl. I wanted him to be playable, and so did a lot of other people! He should've at least been in the Subspace Emissary. Alas, it'd be more than strange if Ike saw the Black Knight at that point. The Black Knight decided that he needed his own training, as well. We all know that ledges are very important in the Super Smash Bros. series, so the Black Knight needed to take the time to figure those out if he ever wanted to join one of the games. Here's exclusive footage from my YouTube channel shot many years ago of the Black Knight jumping on and off ledges. So, the Black Knight returned. He wished to help the Maiden of Dawn, Micaiah, stay alive in Daein under the Begnion Occupation Army. Micaiah was acting as Daein's saviour to attempt to return the fallen kingdom to glory, and the Black Knight stuck by to see that task out. What a loyal soldier! ...Well, maybe not. All along, the Black Knight really had another identity: That of General Zelgius of Begnion, serving under Sephiran, the Duke of Persis and the Prime Minister of Begnion. General Zelgius is a badass in his own right and also exceedingly competent. However, it does mean that he is working for two countries at once, and fighting on both sides of the Mad King's War. This presents a problem when evaluating the Black Knight as a soldier: He does not actually have patriotism for his country, but is merely doing whatever his master, Sephiran, is asking of him. 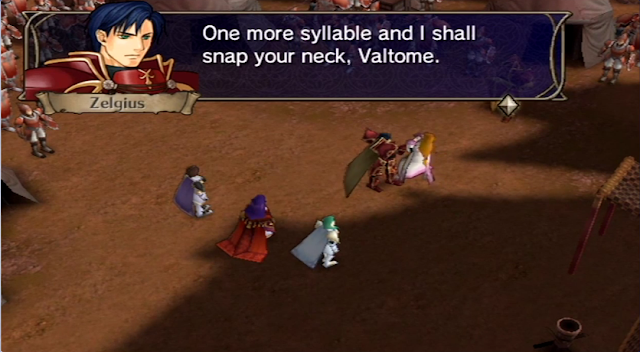 Zelgius is also fine snapping the neck of an, um, dignified senator of Begnion, Senator Valtome of Culbert. Zelgius thus eventually earns the ire of everyone who isn't Sephiran and Micaiah, especially when it's known that he and the Black Knight are the same person. 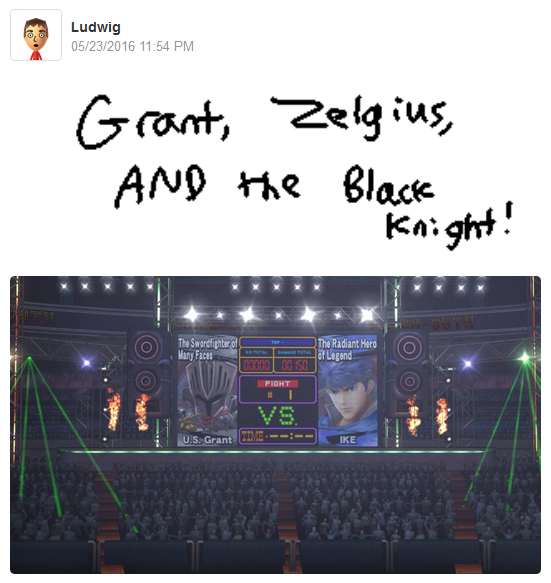 He is the Swordfighter of Many Faces: Zelgius, the Black Knight, and General Ulysses S. Grant. Source is this Miiverse comment. This man, whether being the Daein Black Knight or the Begnion Zelgius, performs his job very well and strikes fear into whoever he is against. The one problem is that you don't know which side he is on at any moment, because Sephiran's master-planning is quite complex. Sephiran just wanted the end of the world by creating a war that engulfs the entire continent, which means there needs to be at least two sides at war. Zelgius, of course, had great reasons for helping Sephiran out with all of this. The man had his own personal problems growing up, and Sephiran helped him out and did away with his loneliness. And as a Branded person, no one liked him growing up because of mass societal discrimination. Of course, you'd think they could work together. But... it's all part of the plan. Sephiran's, anyway. Imagine the chaos and warring that would happen if the Black Knight could do damage to others from other planets! If Dark Meta Knight is eliminated, that opens a spot on the roster for the Black Knight to come into Super Smash Bros. For Wii U! Or the fifth game in the series. That's important, because the old soldier Snake left after Super Smash Bros. Brawl, leaving a wide-open spot for a badass super soldier. ...Not counting Ike. The likes of Chrom sure as hell ain't gonna fill that spot. Eventually, they filled it with Cloud. And so, the Black Knight didn't get his time in the crossover sun. But we do not want to forget him, even if Sakurai keeps adding losers from Fire Emblem instead of another badass from Fire Emblem. ...But, alas, he's dead now anyway. For good. Now, here's a question. Why did it take so long for people to figure out that the Black Knight and Zelgius are the same person if Greil claims to have figured it out by the Black Knight's voice? Zelgius was a famous dude throughout the whole continent of Zelgius. The Black Knight became a famous dude. Zelgius knows how to properly pronounce “challenge” and the Black Knight says something that sounds like a mixture of the words “charge” and “chance”. They clearly speak differently. Side note: The Black Knight only had one sheath for his swords. So how did he walk around with both Ragnell and Alondite? Was he always holding one in his hands at all times? Now that's dedication. A spectacular soldier. We miss you, General Ulysses S. “Zelgius” Grant, the Black Knight. ...And we'd like another Fire Emblem game such as Path of Radiance and Radiant Dawn, too. Ludwig wishes you a sombre Memorial Day. What do you think of the Black Knight, Zelgius, or Ulyssses S. Grant? Or another topic touched upon in this article? Let KoopaTV know in the comments section, and Follow RawkHawk2010 and Ludwig on Miiverse! KoopaTV loves to use Fire Emblem: Radiant Dawn and its prequel to make points in otherwise unrelated articles, like this one about Chaos vs. Order in forum moderation styles. As for defending minorities, the Black Knight actually doesn't like Laguz. But George Zimmerman would. Maybe. Here is Memorial Day 2017: About the law itself. Unfortunately, most of the “Fire Emblem community” has only played Fire Emblem: Awakening and Fire Emblem Fates. Rawk used to have a desktop wallpaper of Lethe from Path of Radiance. Why didn't that sell? Maybe it was not blatantly obvious waifu pandering. Caaaaaaaan't people love people without it being the focus of the game? Meanwhile no fallen soldier is being memorialized in the Advance Wars Universe. That is both the "good" guys side and the "bad" guys side. ...Yeah, well... Maybe in 2017 I'll write about Forsythe. It's impossible to hate Zelgius, even Ike has respect for him! We love them too! Thanks for the comment!